Among the individuals or ownership groups who’ve amassed clout in Colorado’s legal marijuana industry, four weed tycoons stand above the rest, according to state records and other published reports. And while each would appear to be a paragon of success in what is a relatively recent billion dollar-plus enterprise, not everything they’ve touched has turned to gold. For example, one group, Native Roots, in 2016 unsuccessfully sought the naming rights to the Denver Broncos’ Mile High Stadium. Native Roots at Mile High, anyone? Fritzel has 59 licenses for 14 medical marijuana dispensaries, 14 retail dispensaries, 11 cultivation grow houses, two infused product businesses and 17 optional premises, which are needed to grow marijuana for medical dispensaries. In some, he has partners, in others he does not. The stores go by the names Buddy Boy, Lightshade and MMJ America. Fritzel is originally from Iowa where he played on the University of Iowa basketball team, lettering in 1995, according to the university website. He had some Subway concessions, but was forced to file bankruptcy during the Great Recession. After the recession, he started getting into the marijuana business. He and partners have branched out from Colorado in recent years. He has at least one retail dispensary in Las Vegas. But his biggest national operation is MJardin, which was started by Fritzel and partners Adam Cohen and James Lowe. It is a turnkey cultivating, growing operation. Marijuana operations in other states contract with MJardin to run their grow houses. As of August 2016, the business had 500,000 square feet of grow space under management in 10 states. It had 35 clients and employed 250 people. The company is listed on the Canadian stock exchange. In 2016, when Florida issued its first five cultivation licenses for medical marijuana, MJardin got the contracts to run all five for the license holders. Fritzel is also an investor in Maryland Compassionate Care which was one of the first 14 companies to get cultivation licenses in Maryland for medical marijuana; 144 companies applied for the licenses. The Speidell brothers — Brad, 37, Nick, 35, and twins Eric and Kyle, 33 — have 48 marijuana business licenses — 20 retail, one medical dispensary, seven for grow houses, two for infusion products and one optional premise to grow marijuana for the medical dispensary. 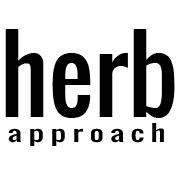 They have the most retail dispensaries of any group of owners in Colorado. They are spread all across the state in 12 cities from Fort Collins down to Pueblo and Trinidad and to Glenwood Springs in the west. They have four stores in Denver. They are all under the name The Green Solution. They, too, have branched out with stores operated as franchises in Oregon, Florida and Nevada. They got approval for three stores in Florida in February and have plans for up to 10 stores in the state. Two of the brothers served in the Marines. Eric and Kyle are twins. Brad Speidell graduated from Colorado Christian University. Their company recently entered into a partnership with Dent Neurological Institute, called Medicinal Excellence for Neurological Diseases, to focus on using different types for marijuana to help alleviate health issues. Lord has 48 marijuana licenses — 10 for medical dispensaries, 10 for retail stores, 2 for infused products, 2 for cultivation and 24 for optional premises. Most of his stores go by the name LivWell. LivWell has 140,000 square feet of grow space. Lord ran a baby products company in Denver before getting into the marijuana business. He inherited a warehouse from a business deal and used it to start his venture into marijuana. Lord is also actively expanding his marijuana empire in the U.S. and Canada. He formed LivWell Oregon for dispensaries in Oregon. In July, he formed LivWell International that is traded on the Canadian stock exchange. It is a partnership with 51st Parallel in Alberta and GCH Inc. of Denver. Lord is the chair and CEO. GCH (a company founded by Willie Nelson) owns Willie Nelson’s marijuana brand, Willie’s Reserves. The LivWell International partnership has plans to open marijuana stores in Alberta and British Columbia with up to 50 stores eventually throughout Canada. It is raising $38 million from capital investors in Canada. Lord is also partnering with Snoop Dog in his marijuana brand, Leafs by Snoop. Native Roots is a partnership originally involving as many as seven people, including some from the Vail area who are developers, attorneys and real estate brokers. Among the principals are Joshua Nathaniel Ginsberg, Peter Knobel and Jonathan Robert Boord. Knobel purchased a 160,000-square-feet warehouse in Denver for what was billed as the world’s largest cultivation facility. The groups have 67 licenses which include 15 retail stores, 16 medical marijuana dispensaries, 3 grow houses, 4 infused products businesses and 29 optional premises to grow for its medical dispensaries. However, many of the optional premise licenses and some of the retail and medical licenses are labeled as “administratively continued” meaning the state has allowed them to operate but has not finished the license approval process. In terms of the number of retail and medical facilities, it is the largest chain. 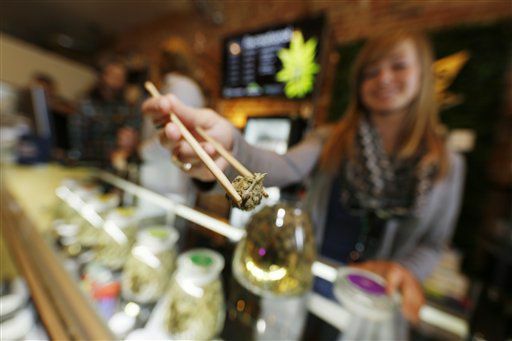 Its stores and dispensaries are in the metro area, Colorado Springs and on the West Slope in Ski Country. The group has a partnership with a music producer, GRiZ, to market his strain of marijuana.